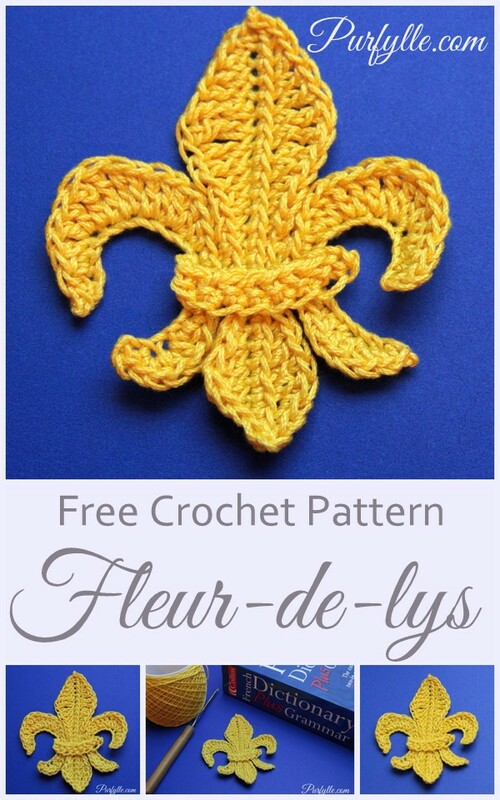 I thought I might crochet fleur-de-lys to use in Monday's post. However a bit of searching the interwebs in all the usual places showed up very few pattern options. So I decided try my hand at developing my own fleur-de-lys crochet pattern. 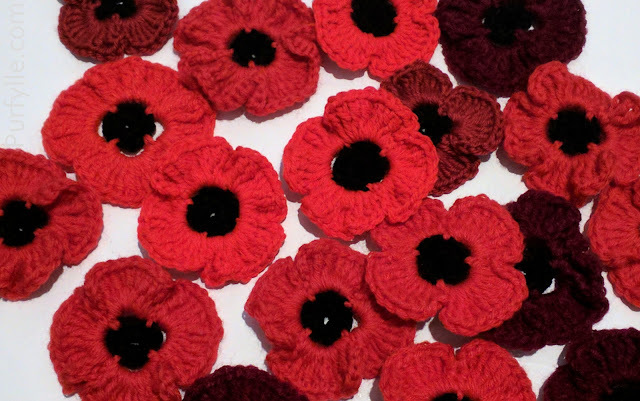 I was hopeful of coming up with a pattern that could be worked continuously. I made some progress but I wasn't happy with how the outer petals looked wrong with one worked on the right side and the other worked back to front so I frogged it and started over. For my second attempt at developing a pattern I decided to crochet each section separately and then stitch them together. I'm rather pleased with the results. What do you think? It did need to be blocked but I decided I would just put a big book on it for a while. I thought it rather apt that the big dictionary I grabbed for the purpose was French. *SS into second stitch from hook then SC into same stitch, SC & HDC in next st, HDC & DC in next st, HDC in next st, SC in next 5 stitches, HDC in next st, 2 DC in next, 2 DC in next, 1 DC & 1 TC in next, 2 TC in next, 2DC in next, 2 DC in next, HDC in next st, HDC in next st, SC then SS into same stitch** tie off. To make the central bar work 8 stitch double foundation chain. 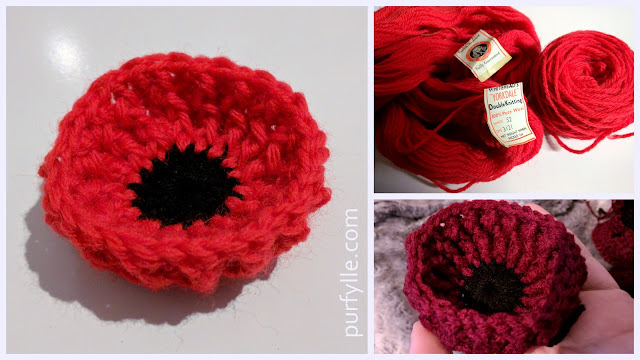 Using a yarn needle stitch the outer petals to the central ones and then stitch the centre bar on last. Ada-cat helped with taking photos, which always makes things more interesting. This is my first attempt to write a motif pattern. I hope it works for you and I haven't over looked anything in the instructions. If you give this a try I would love to hear from you on how the pattern worked and see your finished motif. Gorgeous! Your creativity and skill amaze me, and make me jealous!! Sometimes I surprise myself, this was certainly one of those times. This is simply BEAUTIFUL !! Gorgeous you are so talented...and I LOVE the kitty in the pic! I am a cat fiend...so many reasons why we click.ha! Thanks for all your help lady! That little kitty is my totally annoying super cute Siamese x called Ada. She always tries to kiss the camera so it's hard to get pics of her. And you're welcome! Thank you! Very easy instructions. I'm so pleased to hear that! Thank you for the feedback. I did try to make a video tutorial, but it wasn't that successful. I shall have to try again :o) I think the extra slip-stitches I needed when turning aren't needed for thicker yarn. I'm so glad you figured it out! I'd love to see a picture.